"Jesus Gave Him No Answer"
In its nearly four-decade-long effort to address the culture war raging in American society, Apologetics Press continues to remain dedicated to the guiding principle articulated by the inspired apostle Peter: “always be ready to give a defense to everyone who asks you a reason for the hope that is in you, with meekness and fear” (1 Peter 3:15). Indeed, we remain relentless in our endeavor to identify and answer the key challenges to Christianity in our day. One glaring feature of American culture and politics is the extent to which government, particularly the federal government, has strayed from its moorings. 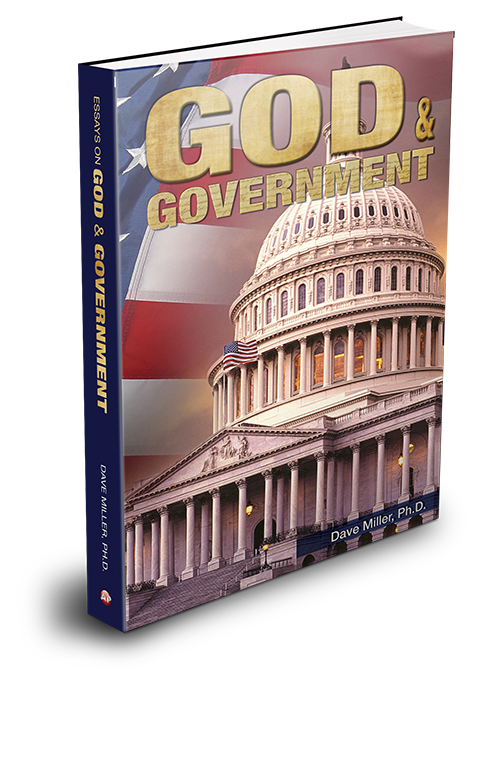 Hence, AP has just released a new book that constitutes a ringing call to re-examine the true function of government as envisioned by both God and the Founding Fathers. This 300+ page book challenges the reader to reconsider several crucial principles. It explains the meaning of “unalienable rights,” relying heavily on the biblical definitions of these rights. It stresses the extreme necessity for political leaders to possess very specific qualifications for the role they fill. It discusses the proper purpose of taxation, the societal effects of socialism, and whether socialism is scriptural. It offers a stark contrast between the biblical definition of “poor” and the government’s distorted definition, while examining the spiritual propriety of welfare, work, and “entitlements.” It explores how government ought to discharge its function, including the validity of incarceration and capital punishment. It examines the matter of illegal immigration compared with God’s handling of immigration under the Law of Moses, including a lengthy discussion of the treatment of “native Americans” by Europeans who migrated to America. Christians must not allow politicians, media, and liberal university professors to shape their thinking about these crucial concepts. We must go back to the Bible and rediscover the fact that God has spoken definitively about these matters. Though lengthy and packed with intriguing information, this book is priced far below market value. Please consider securing your copy and copies for those whom you want to influence for good.